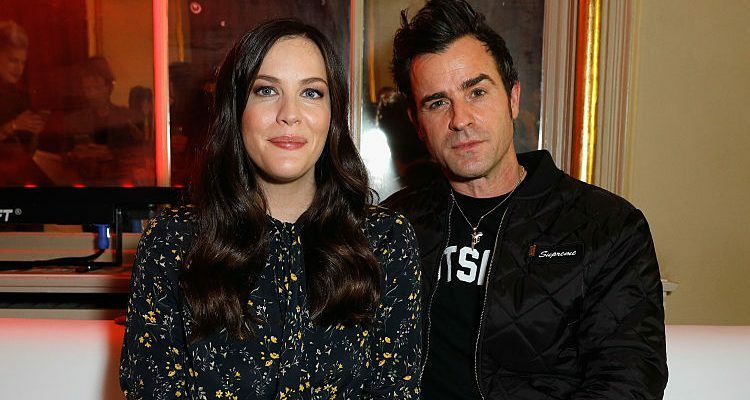 Justin Theroux and Liv Tyler are expected to appear together in The Leftovers season 3 on HBO. The show is expected to premiere in April 2017, and this will be its final season. The Leftovers will be taking over the time slot normally allotted for Game of Thrones as that has been pushed back to air in the summer of 2017. Creators of The Leftovers made the announcement of the show’s return on Facebook. They were dressed all in white and revealed the news via notepad writings. While we wait for April to approach, let’s take a closer look at stars Theroux and Tyler and how they stay in such great shape. Theroux works alongside personal trainer Jason Walsh, and his workouts consist of compound exercises and barbell moves. The workout helps Theroux achieve his toned body while staying lean and strong. Some key exercises include thrusters with kettlebells, which are completed by holding a kettlebell in each hand, squatting down, and raising arms up once you come back up from the squat. Theroux also completes farmer’s walks, which include walking while carrying a heavy weight in each hand. And lastly, he does front squats, which are squats while holding a barbell in front of you, across your chest. These moves keep Theroux strong and lean and basically looking half his age. Tyler works with personal trainer David Kirsch, who puts her through a combination of routines in order to stay fit. Being a mother and in her 40’s, Tyler works incredibly hard to stay fit and maintain her toned figure. When Tyler was pregnant, she developed gestational diabetes, so she had to be on a restricted diet in order to stay healthy. Losing weight after pregnancy wasn’t that easy for Tyler, and she admitted that she had to overhaul her diet, exercise intensely, and work with a personal trainer. She previously admitted that breastfeeding wasn’t aiding in weight loss and that is why she had to work so hard. Tyler typically follows a healthy, balanced diet, and her daily workout consists of following Kirsch’s Ultimate New York Body Plan along with other cardio exercises like running or swimming. Tyler also incorporates core exercises, Pilates, and plenty of stretching. Tyler works with one of the top Pilates instructors out there – Brooke Siler – and enjoys Pilates because it not only keeps her fit, but also boosts her energy levels and improves circulation. Both Justin Theroux and Liv Tyler look amazing for their ages and continue to look forever young as a result of their healthy eating habits and regular exercise routines. Juzwlak, R., “The Leftovers season 3 will debut next spring,” Jezebel website, December 6, 2016; http://jezebel.com/the-leftovers-season-3-will-debut-next-spring-1789746641, last accessed December 12, 2016. “Justin Theroux’s fat burning workout,” Men’s Health website, September 30, 2016; http://www.menshealth.co.uk/workout/justin-therouxs-fat-burning-workout, last accessed December 12, 2016. “Liv Tyler workout routine,” Celebrity Sizes website, July 2, 2016; http://www.celebritysizes.com/liv-tyler-workout-routine/, last accessed December 12, 2016. “Liv Tyler’s diet and exercise routine: Bouncing back to fitness,” Shed Your Weight website, http://www.shedyourweight.com/liv_tylers_diet_and_exercise_routine_bouncing_back_to_fitness.html, last accessed December 12, 2016.